• ‘On-U Sound Presents Lee Scratch Perry Nu Sound And Version’ – to give it it’s full title - contains reworked, remixed and re-interpretated versions of 11 Adrian Sherwood-produced Lee Perry classics. 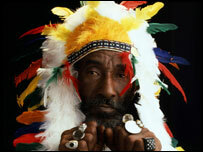 Reggae legend Lee ‘Scratch’ Perry first began working with On-U Sound in the late 1980. Initially working with Style Scott’s Dub Syndicate rhythm section, he then collaborated with Adrian Sherwood on ‘Time Boom X De Devil Dead’ in 1987 and ‘From The Secret Laboratory’ in 1990. He would return to the label in 2008 to release ‘The Mighty Upsetter’ and it’s companion-piece ‘Dub Setter’. The tracks on this album see Lee Perry receive some of the most radical treatment his work has ever had, as his distinctive vocals bob and weave in the midst of bass, rave riddims and extreme experimentation fashioned from the imaginations of some of today’s most cutting-edge, dub-influenced producers. Newly commissioned versions by Bullion, Congo Natty, Dialect & Kosine, and Adrian Sherwood make their exclusive debut appearances here, alongside productions plucked from the sought–after series of limited 12”s by Kode9, Mala of Digital Mystikz, Moody Boyz, Horsepower Productions, and Pempi. All original recordings produced by Adrian Sherwood. • 'On-U Sound Presents Lee Scratch Perry Nu Sound And Version' – to give it it’s full title - contains reworked, remixed and re-interpretated versions of 11 Adrian Sherwood-produced Lee Perry classics. • Reggae legend Lee ‘Scratch’ Perry first began working with On-U Sound in the late 1980. Initially working with Style Scott’s Dub Syndicate rhythm section, he then collaborated with Adrian Sherwood on ‘Time Boom X De Devil Dead’ in 1987 and ‘From The Secret Laboratory’ in 1990. He would return to the label in 2008 to release ‘The Mighty Upsetter’ and it’s companion-piece ‘Dub Setter’. The tracks on this album see Lee Perry receive some of the most radical treatment his work has ever had, as his distinctive vocals bob and weave in the midst of bass, rave riddims and extreme experimentation fashioned from the imaginations of some of today’s most cutting-edge, dub-influenced producers. • Newly commissioned versions by Bullion, Congo Natty, Dialect & Kosine, and Adrian Sherwood make their exclusive debut appearances here, alongside productions plucked from the sought–after series of limited 12”s by Kode9, Mala of Digital Mystikz, Moody Boyz, Horsepower Productions, and Pempi. All original recordings produced by Adrian Sherwood. • Lee Scratch Perry wants his music to heal a mixed-up world. By Kate Welsman. 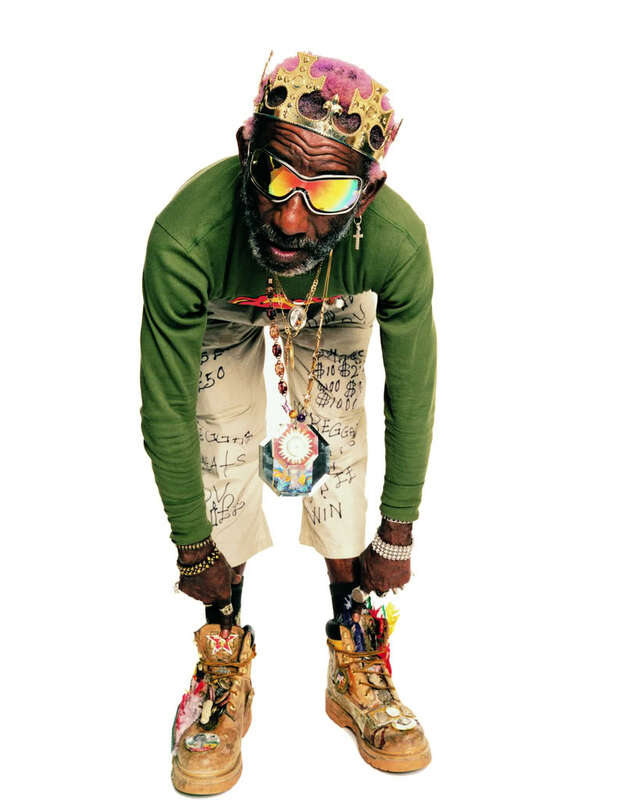 • Original dubmaster Lee "Scratch" Perry is calling it a day. His Australian tour will be his last here, and, as the 69-year-old says, it has been a long journey. • Perry, who lives in Switzerland, has continued to tour annually because he feels a strong connection with Australian audiences, but he is now a little weary. • "I will fly to the end of the world to support the people who have supported me. If the people in Australia need me, then I am there. I have made some new music where I have mixed the prophecies with the sounds, but I have been sucked dry in the studio. My records are my identification and my spirit is immortal." • In the early days of Jamaican reggae, Perry worked with Sir "Coxone" Dodd in the 1950s; then with King Tubby and Bob Marley and the Wailers, as well as countless others. • The infamous burning of his Black Ark Studio and his often misunderstood actions and rantings have awakened the curiosity of thousands, but scratch the surface and you'll find a deeply rooted bass-heavy talent that has propelled dub into the 21st century. • Perry has been ripped off and slandered but has continued to experiment with the mixing desk and come up with new styles of sonic distortion. • He is a widely acknowledged founder of dub; he is the last of the old school. • In his Old-Testament style and prophesying roar, he continues to demand that people listen to what he has to say. • "I am into healing music! I am doing spiritually healing music, cosmic healing music and strictly soul healing music " he thunders. "The world is a very mixed-up place and I am coming to heal! • "Curse the war makers! I am here to deliver peace dub, love dub, dub to make you love one another! This is the only way to save ourselves."